For a project for my internship, I did a study on popular diets to research what they are, if they work, nutritional adequacy, etc. 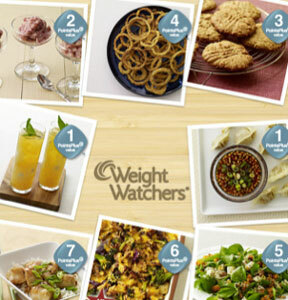 This post highlights the Weight Watchers diet. These are not my opinions but is information and research that I found. How it works: Weight Watchers is a program that helps people to lose weight, form helpful habits, eat better, and get more exercise. No food is completely off limits with the program but recently Weight Watchers started urging people to avoid processed foods. Each food and beverage in Weight Watchers is assigned a point value and each member has a certain amount of points that they can have each day. They can choose which foods to eat but must stay within that number limit. How clients lose weight is that they eat fewer calories than they are burning. You can work with WW but in person meetings or an online only program. They help members select a goal weight and discuss BMI. To join WW, you must weigh at least 5 pounds over the minimum for your height and weight. After the weight is lost, the client starts a maintenance period. They increase the food intake until they no longer gain or lose weight. Nutritional Adequacy: The Journal of the American Dietetic Association ranks Weight Watchers number one in terms of being a nutritionally sound diet. In a recent study, the average person on Weight Watchers lost 6.6 lbs in a year. It is found to be the third most effective diet with weight loss and those that stuck with the diet reduced their cardiac risk factors. Cost: Weight Watchers is free except if you miss meetings. If you miss, you have to pay a fee. Also, sometimes you have to pay a joining fee but often it is free. opinion of it? Did the weight stay off of did you gain it back one ending the diet? I lost a little over 60 pounds when I did Weight Watchers a few years ago. For me, it was the mix of freedom and discipline of the program that really appealed to me. There wasn't anything I couldn't eat, but the tools they gave me provided me the information I needed to make good choices and to stay on track. I think it's a great program. I love WW, I have been on it since November and have lost 24 lbs! I have 30 to go, it is not fast, but I do notice that my eating habbits are changeing. Not sure where you got the info about it being free, its not, I pay $18.95 a month. I figure it is money well spent! I've always thought negatively when it comes to diets like this because I wasn't certain about what is in their foods, but I probably shouldn't knock it until I've actually done some research on it! I'm just happy that it helps people get healthier and happier-that's all that really matters, right? !